Dallas County History Trivia Night Fundraiser! Join us for an evening of history and hilarity at our Dallas County History Trivia Night Fundraiser at the Hotel Pattee. Doors open at 5:45 and questions start at 6:15 pm. 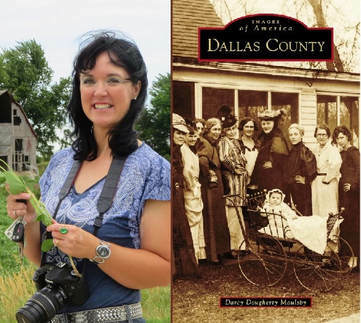 The evening's MC will be Dallas County author Darcy Dougherty Maulsby. Tickets are $10 and include entrance to the event, 1 free (alcoholic or non-alcoholic) drink voucher, and light snacks at your table. Additional drinks and appetizers will be available for purchase. The evening's drink special is 10 bottles of domestic beer (Miller, Budweiser, Coors, etc.) for $40. Single tickets or tables of 10 can be purchased. If you purchase a table for $90, you get 10 tickets, 10 drink vouchers, and can select the topic of one of the 8 rounds of questions! For tickets, contact Alissa at info@fcctrust.org or 515-465-7713. All proceeds support Hometown Heritage's mission to preserve and share local history. Event sponsored by Hometown Heritage, Hotel Pattee, and the Perry Public Library.